To-Mera was formed by Julie Kiss and Lee Barrett (ex:Extreme Noise Terror / Disgust / Mussolini Headkick) following her departure from the Hungarian progressive metal band Without Face. At the start of 2004 Lee Barrett began searching for full-time members and Akos Pirisi, a huge fan of Meshuggah and a master of polyrhythmics, was brought in on drums. Later Tom MacLean was found after he, a big Without Face fan, recognised Julie and introduced himself at a Dillinger Escape Plan concert. After the band's demo was recorded, To-Mera finally found a full-time keyboard player in the shape of Hugo Sheppard. The band recorded their debut demo in July 2005 at The Peel rehearsal rooms (Kingston-Upon-Thames) on a laptop, and it was mixed in France by producer Brett Caldas-Lima (Kalisia / Malmonde / Fairlight). 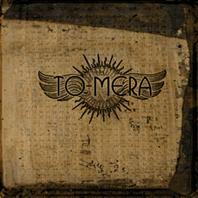 To-Mera recorded their debut album Transcendental in May/June 2006, again with producer Brett Caldas-Lima. Drums, guitars and vocals were recorded in Veszprem (Hungary), while the bass and keyboards were recorded in London (England). The audio mixing took place at Tower Studio in Montpellier (France). The release date is given as 11th September 2006.